KENNETH TURNER IS BACK !! 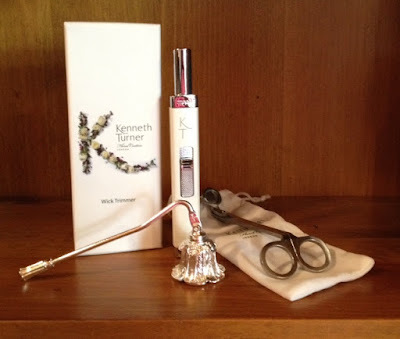 Good news for all you Kenneth Turner fans.......the collection is back in stock !! The company had terrible problems with their export affiliates for several years, but now everything is hunky-dory and they now stock their line in the United States. 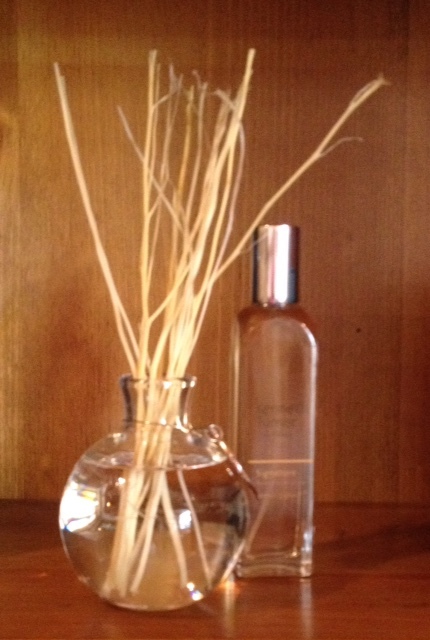 We have stocked up ourselves on the original fragrance which is now called Signature. This Signature fragrance is a blend of Orange Blossom, Honeysuckle, Citrus, Woods and Spices and for those of you who love it, there is nothing like it. They make 3 sizes of candles now and each comes in a glass vase that can be used for flowers when your candle is all used up. The largest Bouquet Vase has a 180 hour burn time, the medium Stem Vase will burn for 95 hours and the smallest Posy Vase for 50 hours. 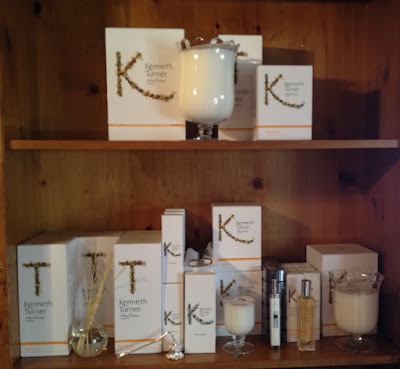 We also are stocking the Room Spray, Reed Diffusers (which are very delicate and ethereal looking), hinged-neck silver candle snuffers and stainless steel wick trimmers. These make terrific presents with or without a favourite candle. 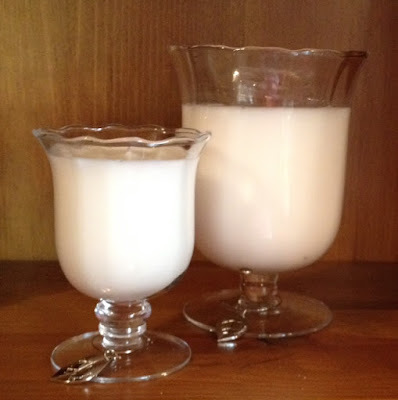 We all have a friend or relative that lights candles daily and does not own a Snuffer. They will thank you ad nauseam for giving them one of these and will prattle on about how they are sorry they went so long without. Long neck matches are on their way from London, but in the meantime we have the most marvelous lighters, which by the way, your candle-loving friends will love as well. They are long enough to light a candle without burning your digits, but are elegant enough to leave out on the table (unlike those tacky, bulky lighters used to light the bar-b-que ). Please call the Boutique 561.655.7367 if you would like us to mail you your Kenneth Turner fix.......it IS legal, I promise.